VISIT SARASOTA COUNTY (VSC) is the official tourism marketing entity and primary provider of visitor information for Sarasota County where tourism is the top industry. VISIT SARASOTA COUNTY (VSC) is the official tourism marketing entity and primary provider of visitor information for Sarasota County where tourism is the top industry. 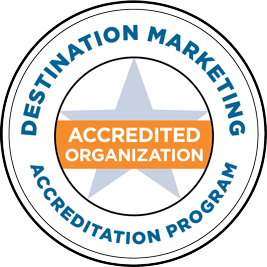 Visit Sarasota County is accredited by the Destination Marketing Accreditation Program, a program of the Destination Management Association International (DMAI). VSC meets the highest standards of professionalism, leadership, fiscal management and ethical principles. The Sarasota County Sport Commission (SCSC) is a division of VISIT SARASOTA COUNTY. The primary focus of the SCSC is to generate new visitors through sports events, often referred to as "sports tourism." The mission of the SCSC is to position Sarasota County as a must-experience mid-sized sports destination for local, statewide, national and international athletes of all ages. We accomplish this mission by supporting over 75 sporting events per year and promoting our extensive portfolio of premier facilities. VSC operates two official Sarasota Visitors Information Centers and a Visitor Information Vehicle. The first information center is in downtown Sarasota (1945 Fruitville Rd, Sarasota, FL 34236) and the other at The Mall at University Town Center (140 University Town Center Drive, Sarasota, FL 34243). The Visitors Center is staffed by fifty knowledgeable volunteers who welcome millions visitors and newcomers a year to the area. The Visitor Information Vehicle provides visitor information outside the walls of the Visitor Centers by appearing at popular tourism spots and events. VSC has one of the most powerful and effective tourism media relations in the State - hosting or assisting more than 250 travel writers annually from various media outlets, including print and online. Annually, the VSC is responsible for generating hundreds of millions of media impressions. The VSC also has public relations and representation in the United Kingdom and Germany, along with sales representation in the United Kingdom. Under the direction of its content coordinator the VSC works with area freelancers to produce its own blog, video and photographic content to a loyal social and digital readership of more than 100,000, thus establishing itself as the preeminent authentic voice of Sarasota County attractions and features for visitors. VSC produces the only "Official Sarasota County Visitors Guide", distributed to 100,000 potential visitors annually. VisitSarasota.com is the official and comprehensive visitor web site for Sarasota County, serving vacationers from across the globe, travel writers, meeting planners, sports event holders, leisure groups such as weddings and reunions and travel agents. It is the primary consumer site showcasing the County's tourism assets with partner listings, maps, articles on possible vacation experiences. In 2013, the website garnered approximately 5.5 million page views, and approximately 1.5 million sessions. Visit Sarasota County also serves niche markets, such as the arts with VisitSarasotaArts.org, the sports market with Sports.VisitSarasota.org, the eco market with DiscoverNaturalSarasota.org, and the Culinary market with SavorSarasota.com. Visit Sarasota County hosts exclusive networking opportunities for the tourism industry through Hospitality Connections and education. Providing valuable resources and exclusive industry insight to our partners is a priority at Visit Sarasota County. We host monthly Tourism U series that provide tools, tips and insights on the industry and working with our team. Topics vary and include public relations, marketing, website, sports and more. VSC is recognized with numerous national and state awards for our innovative programs and impactful solutions to problems facing our industry.